We provide CPAs, Bankers and Brokers with the tools and expertise to help them better serve their clients. CPA Care is your free, personal concierge service, your dedicated Paycor contact and (sometimes) your life-saver. Whether it’s a request from a client, an auditor or a government agency, you are faced with many situations where you’re expected to deliver answers—and fast. CPA Care is here to provide you immediate access to information, making your job easier. From payroll questions and custom reports to legislative updates and tax laws, CPA Care is your one-stop resource. What’s more, we offer your clients award-winning personal service. A trusted partner that delivers for you and your clients. Paycor offers solutions and expertise that strengthen the relationship between banks and their customers. Your clients receive cloud-based employee administration, payroll and time software that helps them stay more efficient, organized and compliant. As a partner, you can also offer discounted pricing to your clients. This lowers their cost, while increasing your transactions and deposit volume. Contact us to receive our latest newsletter or to learn more about partnering with Paycor. Make your firm truly full-service. Our tools connect and streamline client interaction with features such as automated open enrollment, Carrier Connect and real-time data updates. 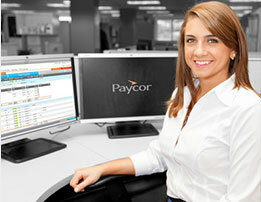 Paycor also provides a vital link in the communication chain. With your client’s approval, we keep you up to date in real time. Need census or compliance data? Call your dedicated Broker Care specialist. He or she can quickly access HR and payroll information and provide the reporting directly to you.